A custom viewpoint defines a selected set of shapes that can be created in a diagram. When a diagram has a custom viewpoint attached, the shape legend will appear, providing you with quick access to the diagramming tool for creating the type of shapes selected. Why and when to use a viewpoint? 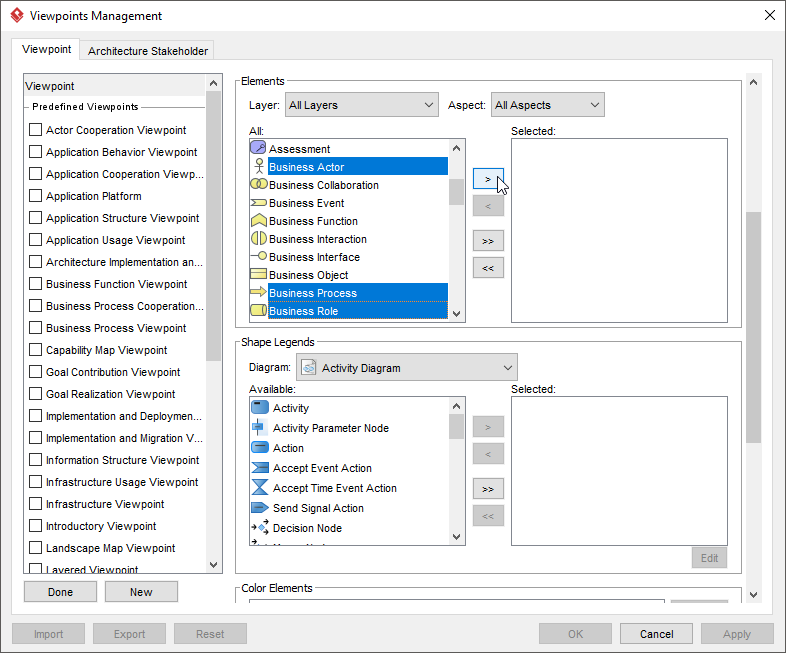 Select Modeling > Manage Viewpoints from the main menu. 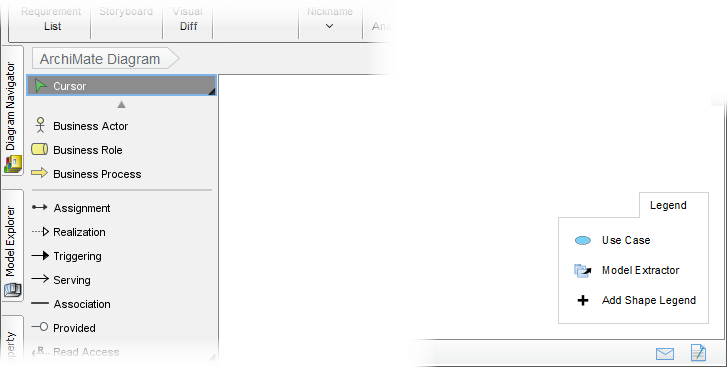 Click Add at the bottom left of the Viewpoints Management window. It shows a list of default viewpoint. Click New to create your own. Scroll down to the Elements section. You can restrict the kinds of model element that can be created via the diagram toolbar, for diagrams applied this viewpoint. Configure shape legend. Shape legend provides you with quick access to selected shape type. Click Done at bottom left of the Viewpoints Management window. Right click on the diagram and select Open Specification... from the popup menu. 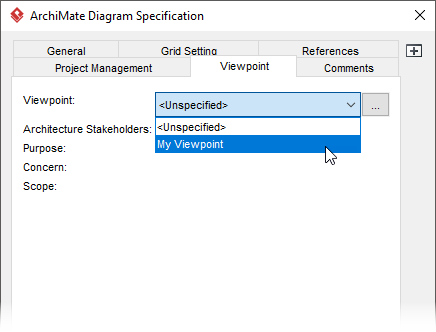 In the diagram specification window, open the Viewpoint tab and select the viewpoint. Click OK to confirm. The diagram toolbar is updated to list only the available shape types, following the definition of viewpoint. You can also create shape via the Shape Legend. If it does not appear, open it by right-clicking on the diagram and selecting Presentation Options > Show Shape Legend from the popup menu.